CiviHR empowers organisations to record and manage their staff and volunteers and transform HR processes via its specialist software. We know that HR is difficult, especially for non-profits with limited budgets and high numbers of volunteers and part-time staff. CiviHR is affordable HR software for non-profit organisations; by developing open source technology and utilising the existing framework of CiviCRM, the cost-saving benefits can be shared with non-profits everywhere. Event Calendar Extension allows you to view all CiviCRM events in a calendar by month,day,week. 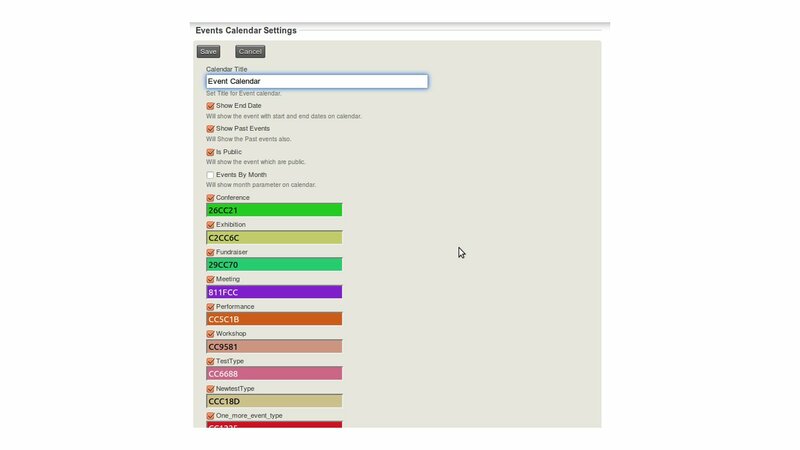 The setting page allows us to select which events should be shown on calendar with the color we want for particular event type. Also the title for Event Calendar. Adds the ability to setup recurring payments for contacts through the administration interface. Queries the contribute tables and displays (in table or CSV) information about donor activity in relation to the previous year(s), categorizing donors as new, lapsed, upgraded, downgraded, or maintained. Added create, get and delete functions to the api for AclRole, AclEntityRole and AclAcl. Prevent users from overwriting their record while trying to add a new participant / contribution / membership. CiviCRM by default pre-selects your own contact details when you register to an event (or other public visible forms) if you are logged in. It is generally a good thing, but might lead to errors, for instance when a team member will overwrite their own contact record, or if a person forwards an invitation they received to someone else. This extension makes the first and last name fields read only, to prevent these mistakes. This extension provide payment processor with PayLeap payment gateway. Allows Zaakpay payment processor to be used with the civicrm. This is a fairly simple extension that adds the field "duration" to the email "action" form sent at the contact level. Some clients need to record their time (in mins) for each activity they do, whether that activity is a "meeting", "phone call" or "email", their time is required to be recorded and made available within the activity report. The field value itself is not sent to the recipient of the email. It is just recorded in the database for reporting purposes only.